Henri Fayol 14 Principles of Management includes all the Principles of Management which must be followed by a business organization to achieve its goals. These Principles of Management Definition is given by Henri Fayol who developed general theories of business administration. Henri Fayol was a French mining engineer and an author who developed general theories of business administration. In this article, we'll see one of his popular theory which is known as Henri Fayol 14 Principles of Management. The theory for philosophy/principles of management is developed by Henri Fayol. According to him, there are 14 Principles of Management. 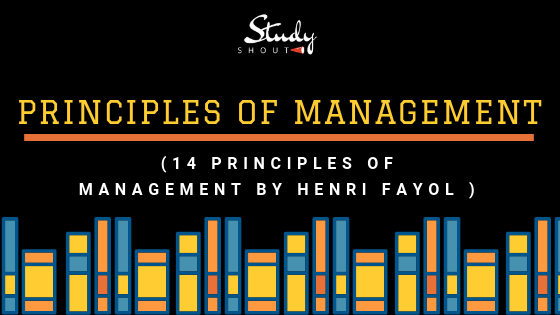 The reason why Henri Fayol 14 Principles of Management are important is, it improves understanding, it helps in identifying the areas of management in which managers should be trained and it is also helpful in identifying the role of management. Objectives of Principles of Management are coordination, efficiency, compliance to plan & controlling etc. Henri Fayol mentioned these principles in his book General and Industrial Management in the year 1917. Thus, from the above-listed importance of principles in management, it is clear that these principles play a crucial role in a business organization and it also helps management in achieving its objectives. Division of work is the management principle which is applicable for a firm which has many employees as well as the firm which has few employees. It is very important to distribute or divide work among the employees properly and distribute according to the capabilities of employees. And, should avoid distributing work to the employee which is not capable of doing it. This principle - Division of work says that the work should be divided among the employees who are capable of doing it and work should not be overloaded. The work must be divided equally among the employees. Distribute work according to the specialization of workers. The work must be divided by considering optimum utilization of manpower. Above given are some factors which can guide you also improving your business management and work division among employees. Authority simply means the power to give orders to get work done from subordinates. Responsibility means an obligation or a duty to complete/perform a task/job assigned by someone satisfactorily. Authority and Responsibility both are very crucial terms. Assigning responsibility without delegating any authority, will not provide any results because authority and responsibility both go hand in hand. It is also very important to reside authority/power to give orders with few peoples only, to avoid internal conflicts. With such a great power/authority here comes the responsibility. Responsibility must be assigned to a responsible and loyal people with certain authority/power. If a person gets responsibility without any authority, the chances of a task's failure will be high. Assign responsibility only when you are also able to delegate some authority. Thus, from the above explanation and listed points, it is cleared that authority and responsibility both go hand in hand. Discipline is a code of behavior, obedience of rules, respect for authority, and observance of established rules. Discipline is a management principle which should be present in all the employees of an organization at all the levels of management so that business management can achieve its objectives. The fact is Self-discipline is more powerful than discipline. Both these terms, self-discipline & discipline might sound similar but both of these terms have a big difference. Some employees include the quality, discipline inherently while some employees need to be induced with the sense of discipline, for a manager, it is very important to give attention in maintaining discipline so that organizational functioning becomes smooth. Make a provision for the penalty on nonobedience of rules in an organization. Make a reward system on the obedience of rules. A manager must do supervision effectively to avoid a breach of rules or nonobedience. The rules must be explained clearly. Hence, by considering above listed points, we can say that organization should make rules in such a manner that nonobedience can be avoided. 'Unity of Command' is an important management principle which means that individual employee should receive orders from one manager and the employee is answerable to that manager. In an organization, if this principle is not maintained, the individual employee would receive orders from more than one head and chances are he may receive different orders from different heads so, there would be a lot of confusion and conflicts. Reduction in confusion and conflicts in an organization. The individual employee is answerable to one manager. Hierarchy in management will be maintained. Thus, we can say that unity of command can reduce confusions and conflicts in an organization. One the principle - Unity of Command is achieved, we have a complete hierarchy, every employee in the organization knows whom they are answerable to and who they are reporting to. Unity of direction principle, directs employees having common objectives towards the achievement of that objectives. There are different departments in the management for different activities and efforts of the employees of one department having common objectives must be directed towards the achievement of these objectives. The application of principle - Unity of direction helps in reducing duplication of work and also helps in minimizing wastages of resources. Efforts of employees are directed in a proper way. Reduction in duplication of work. Wastage of resources will be minimized. So, the unity of direction principle helps in directing the efforts of employees in one direction. Subordination of individual interest to general interest is one of the important Management Principles. To attain organizational goals, it is very necessary for the management to ensure that the interest of a company lies above the interest of an individual. Hence, it is also very important to place the interest of a company above the interest of individuals. The primary objective of a company should be on organizational objectives and not on individual interest. Remuneration is a very important principle for employees as well as for an employer. For employees' motivation, remuneration plays a pivotal role. From Henri Fayol 14 Principles of Management, this principle is the main factor behind the productivity in the organization. Productivity and Motivation both go hand in hand because if an employee loses motivation for his work, productivity in the work will not be maintained. Therefore, to maintain both i.e. productivity in work and motivation in employees, it is important to provide ideal remuneration. Otherwise, present employees might shift to competitors' organization. Remuneration is either monetary or non-monetary. The employer should also include remuneration for extra work for employees. Timely payment of salary or wages. Must give incentives for extra work by workers. According to Henri Fayol, a company must balance both centralization and decentralization. Centralization means the power/authority to take decisions rests with the top level management of a company. Decentralization means the power/authority to take decisions is given to the person performing the job. To function organization smoothly, there must be a proper balance of centralization and decentralization. The top-level management must keep power/authority to take important decisions of the business organization. Also, it is important to delegate adequate authority to the lower-level employees. Motivates the lower level employees. Completion of the work on time. Reduces extra burden on top level management. Hence, there must be a proper balance of both centralization and decentralization of authority. In this principle of management, Fayol says that there should be a clear line of authority which moves from highest to lowest rank in a straight line. The motive of the scalar chain is to know the line of authority in an organization. When people are facing emergencies or calamities, they should know who to go to. This principle makes a proper flow of communication in the company which builds better relations with employees. A clear flow of communication. The word 'Order' in this principle does not mean any command. 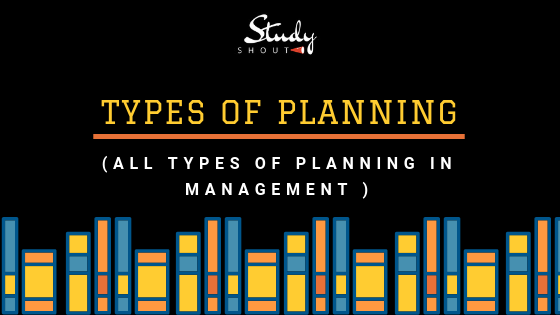 According to this principle, all the activities in an organization should work in a well planned and orderly manner. Henri Fayol says that there should be a proper order for everything in the business organization. If this principle is not followed, there are many hurdles a company may have to face. Outcomes of the violation of this principle are wastage of time, resources, & energy, delayed operations, reduction in operational efficiency etc. Fayol says that in an organization, two main orders are necessary, Material Order and Social Order. Material order specifies that there should be a proper place for all the physical resources. There must be a proper order in such a way that it will eliminate confusions. Social order specifies that there should be a proper place for all the human resources in accordance with their positions. This order helps in selecting the right candidate for the right job. There will be an increase in productivity. Reduction in the wastage of time and energy. 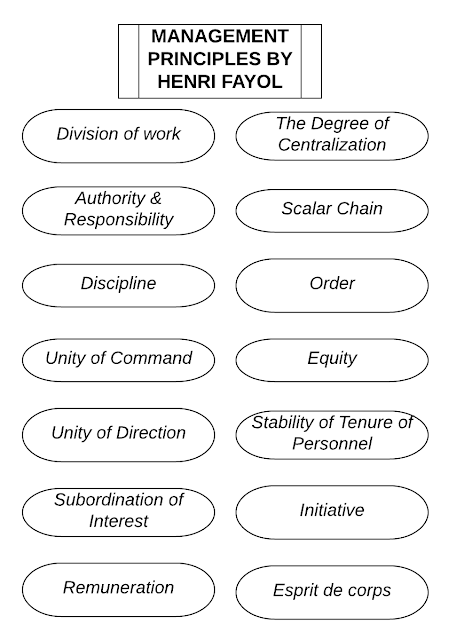 So, we can say that a business organization must follow two main orders: Material order & Social order by Henri Fayol. When the Principle of Equity by Fayol is not followed, there are more chances of arising conflicts in employees. The principle of equity states that everyone in an organization should be treated equally and no one should be biased and not to give preference to anyone. The employer should not be biased or given more preference to a particular employee. The reason behind preference could be his personal relations with that employee. If an employer will be biased and give more preference to any employee, there are possibilities of having conflicts in the organization and employee may shift to competitor's organization. Employees feel motivated and satisfied. Employees become loyal towards the organization and work. Reduction in Employee turnover ratio. Reduction in conflicts of employees. Thus, 'Equity' principle of management is very important in any business organization to keep employees loyal and motivated for their work. This principle of management by Fayol gives importance to manpower/workers/employees of the organization. Fayol says that an organization must have the stability of employees. The employer should manage the personnel in such a way that they feel motivated and loyal towards the organization through which they will become stable to their job. This principle mainly focuses on the reduction of employees turnover ratio. Higher the employees' turnover ratio, more the cost a company has to pay for Training and Development. There will be the stability of employees in the organization. Workers' turnover ratio will be reduced. Reduction in the cost of training and development. Initiative simply means to initiate, to begin, to start, or to instruct in a new project. This is an important principle of Henri Fayol 14 Principles of Management for innovation and creativity in the business organization. Fayol says that each and every employee should be given an opportunity in taking some initiatives in framing the functional plan and in sharing innovative ideas and suggestions. With the help of this principle, the management can get more and more creative ideas and suggestions in regularly innovating. This can also make employees feel involved and interested. An organization can get more and more innovative ideas for implementation. Employees feel involved and interested. 'Esprit de corps' is a French term which means, 'Unity is Strenght'. This principle by Henri Fayol emphasizes teamwork. Through this principle, Fayol says that there should be a team spirit in an organization and all the employees must consider them as a member of that organization. Achievement of the organizational goal becomes easy if the company has employees with good team spirit and they prefer to work in a team. Development of team spirit in the organization. So, Esprit de corps by Henri Fayol focuses on building team spirit of employees so that achievement of group goals become easy. Management Principles by Henri Fayol includes all the principles by applying them in business management, it becomes easy for the organization to achieve its goals. Henri Fayol - 14 Principles of Management are enduring. No matter how the technology updates, these Managerial Principles will matter even to the smallest of business organization. The ultimate goal of these principles by Henri is to have efficiency and productivity in the management and also to remove conflicts from the organization. What are your thoughts on Henri Fayol 14 Principles of Management? Do these Management Principles work in every business organization? Do share your knowledge and experience in the comment box.